That's what my gaming group decided a character said when the player, in a bit of confusion from lack of sleep, said, "My character says something comforting." and left it at that. I mean, wouldn't you want a bunch of fuzzy puppies and kittens? I know I would. Sadly, I don't have the means to get a bunch of fuzzy puppies and kittens, except when it comes to You Gotta Be Kitten Me from Stone Blade Entertainment, whose official launch day is today. So, maybe not as big of news as being now teamed up with Ultra Pro, Stone Blade Entertainment does have themselves another announcement to make. 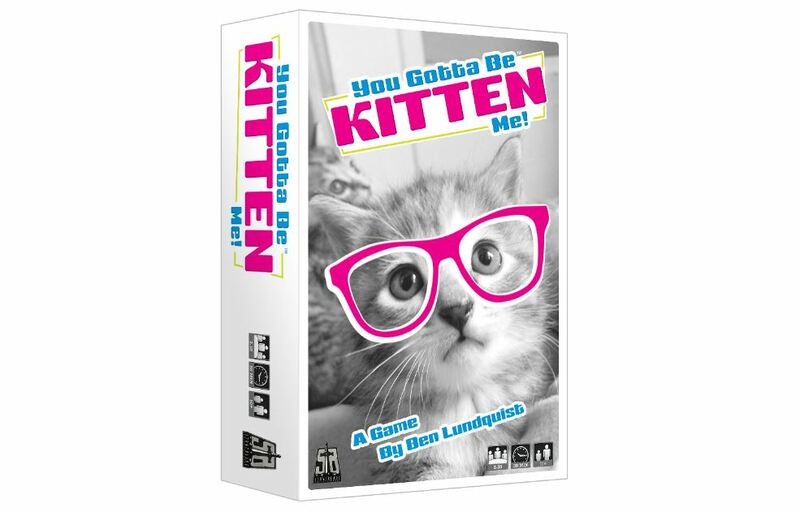 This time around it's a new card game called You Gotta Be Kitten Me. It involves really cute animals (not just kittens) wearing hats, bow ties, glasses, and stuff like that. It's cute!